This game for those who like dark stories of murders and killers. Everything happens in the cities like Chicago and London. You have to be that kind of a person that has this dark side somewhere in there. The game's story fits the genre. You reveal the secrets of the story as you solve the puzzles of the gameplay. The game offers a decent level of eeriness as well as of challenge. This does not mean that you are going to be stuck most of the time. 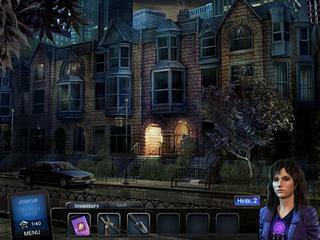 You play as a detective named Angelica Weaver. She is in Chicago, but her supersensory abilities allow her to get to other location pretty easy. She gets involved into a case of a killer. But things are quite complicated here. You are to dig deeper in time first and learn more about some other killer before you can get to this one. The presentation of the game is very impressive with the movie-like scenes in the beginning. Everything seems to work together to keep you on guard. The game offers a decent level of eeriness as well as of challenge. This does not mean that you are going to be stuck most of the time. But rather you get to play some new puzzles as you try to get through the game. Some of them are, sure, familiar and not real hard. The hints recharge really slow if you play the more difficult mode. You can earn additional ones by collecting dreamcatchers. There are also badges to collect throughout the game. 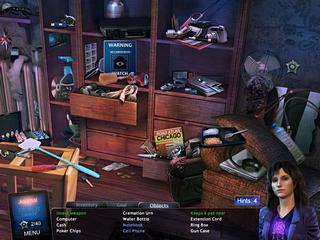 The hidden object scenes are a bit interactive. The game is really worth the time. Everything is done very well to offer you a game of a high quality. This is Angelica Weaver: Catch Me When You Can review. Download this game here.